This heavyweight trade show bag will stand up to the rigors of any trade show and take home the show. An appropriate plastic bag for any show where weight and volume are a factor, holds up to 25 lbs. Features extra heavy weight 3 mil thicknesses, fused soft loop handles, extra large gusset. Overall size of the plastic bag is 16" w x 18" h x 6" d.
The price includes a one std. 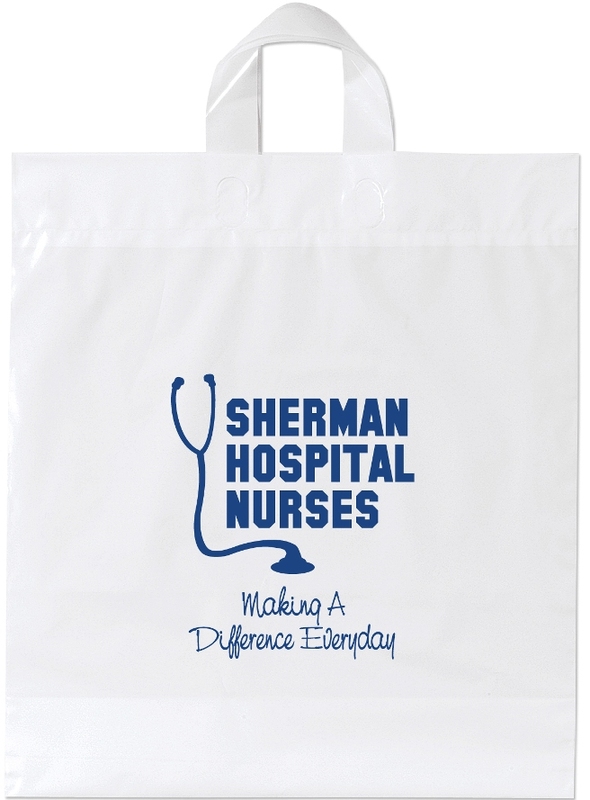 color print on one side in an area 8" w x 8" h.
Trade show plastic bags max one color per side.